Low cost, lightweight, high impact interior floor-standing display for eyeleted banners. Displays 600 × 1600mm banners. • Low cost, high impact banner display. • Simple fold-away design – no tools assembly. • Displays 600 × 1600mm eyeleted banners in a wide range of materials. • Banners simply hook into place – quick and easy to remove and replace. • Carbon fibre top poles provide excellent tension and stability, ensuring banners do not sag over time. • Black canvas carry bag included. • Front Lit PVC is recommended as banner choice. Low cost, lightweight, high impact interior floor-standing display for eyeleted banners. 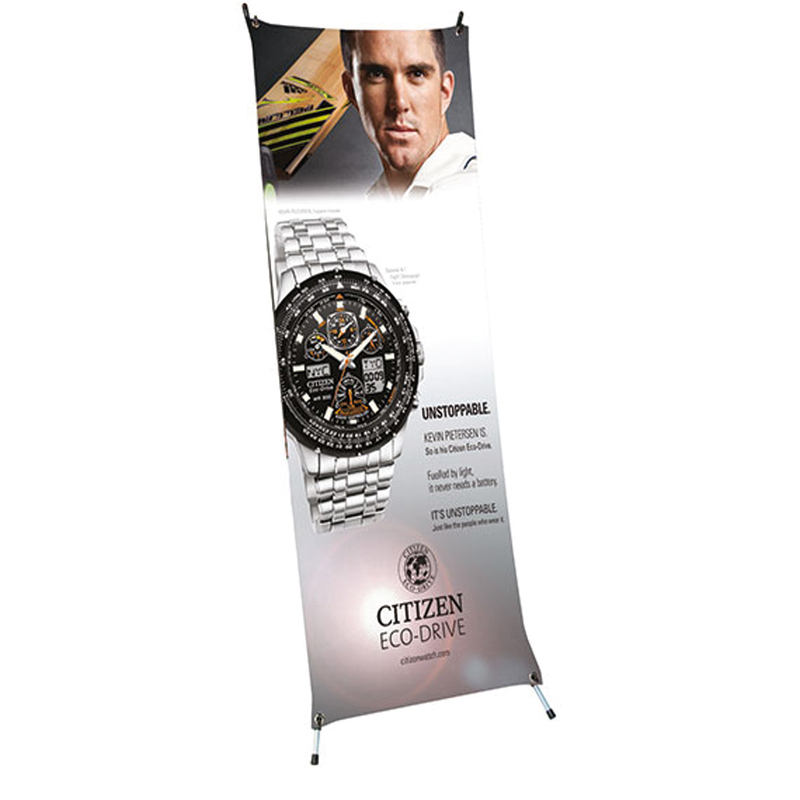 Displays 600 × 1600mm banners.